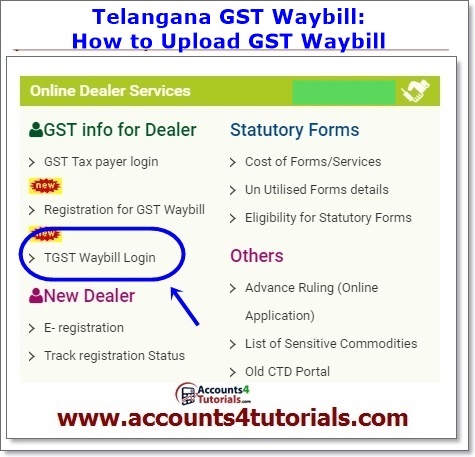 Enter your GST Number and Password which was received to your email. Select Yes, If you know Rail/Road/Air Number else select No. 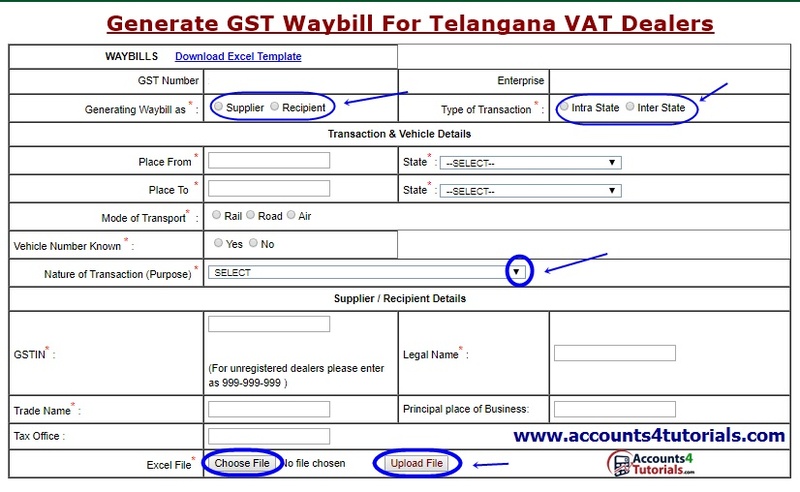 You can find out GST Trade name and Legal name in 'Recipient GST Acknowledgment Form"
Principal place of Business and Tax Office: These two options are optional. If you are don't know, just skip these two fields. 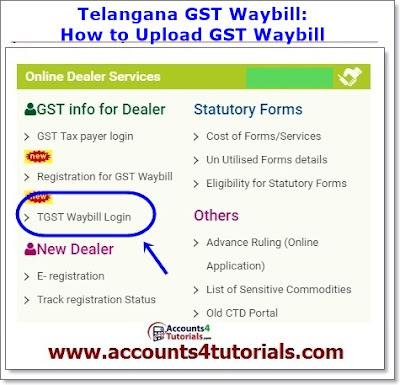 You can find out GST Trade and Legal name in 'Supplier GST Acknowledgment Form"
Check all the information and generate waybill. Just take the print out and sign, stamp on the waybill.